Cityguide Marketing Company | Free Tan Weekend at Celsius Tannery! 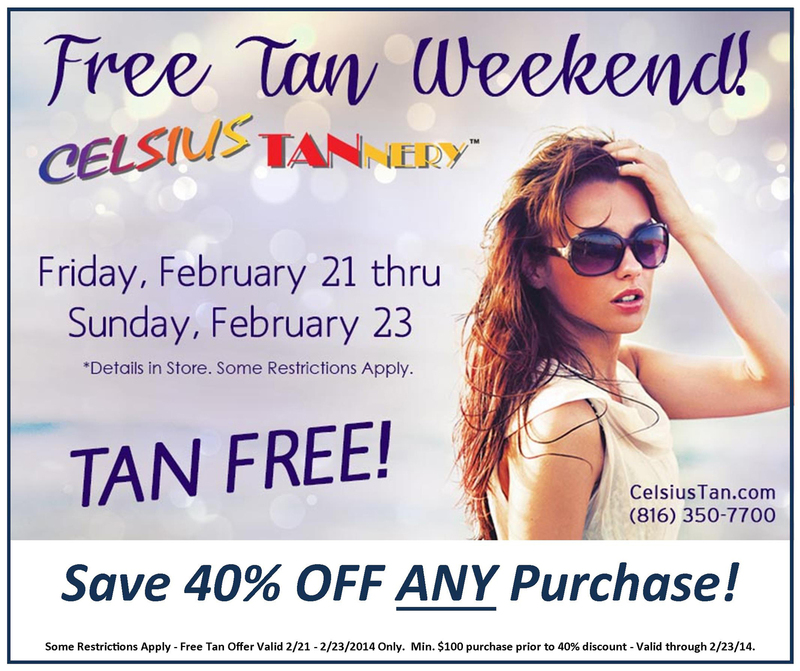 Free Tan Weekend at Celsius Tannery! Free Tan Weekend this weekend at Celsius Tannery. Friday, Feb. 21st – Sunday, Feb. 23rd. Save 40% off any purchase. Come in the store to find out about this awesome special.